“La Vouivre” by Sarah Ash features in The Alchemy Press Book of Urban Mythic 2. Tell us a little about yourself and your writing. I love stories. When I was a child, I used to scribble after ‘lights out’ by the street lamp outside my window, filling little notebooks with barely legible scrawl in different coloured crayons. Growing up in Bath, I used to wonder about all the lives lived out from pre-Roman times till the present day and how what happened back then gradually became transmuted into local legend as it was told and re-told through the ages. Which is why what I like to explore in my own writing what would happen, for example, if a rational, enlightened eighteenth century soldier-prince encountered real, raw magic when waging war on the neighbouring country (The Tears of Artamon). I was trained as a musician and taught music for many years and my stories frequently feature musicians struggling with their craft. Kaito, the main protagonist of The Flood Dragon’s Sacrifice plays the flute – and an old song of his clan takes on a special significance as the story develops. 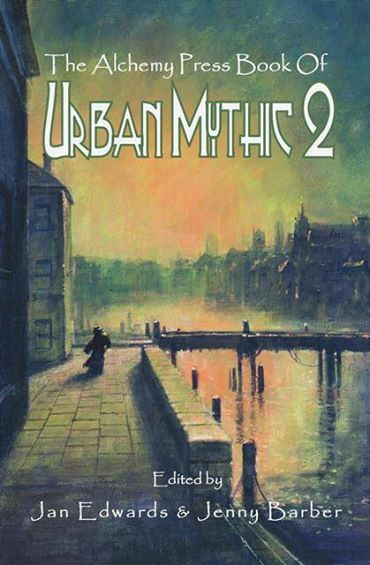 What is at the root of your Urban Mythic story? A summer holiday in the Jura a few years ago brought us into Courbet country. Frustratingly, the new Courbet museum in Ornans was still being finished then, but we were able to visit a few of the places he depicted in his paintings. It’s atmospheric, tranquil, unspoilt countryside where time seems to stand still. As for La Vouivre, this isn’t her first appearance in my writing! I’m still working on a longer novel in which she is one of the protagonists … but set several hundred years earlier. What attracts you to anime and manga, and have you ever considered writing in this form? How long have you got? Well, first of all, there’s a distinctive attitude to story-telling and character interaction that I don’t find in other graphic novels or Western animation. For example: in a shounen (boys’) manga or anime like Naruto, characters get hurt and die, even when they have supernatural powers. It might be fantasy (with ninjas) but it feelsreal. You won’t find that kind of emotional realism in the animated shows churned out (mostly) by the US for YA audiences – and it’s why you won’t find much anime (unless it’s been heavily sanitised) on kids’ TV in the UK. Secondly, I love the way that certain mangaka-like CLAMP (the celebrated four women team) weave Japanese mythology into their work; xxxHolic is still one of my favourite manga, with gorgeous Art Nouveau-style graphics and twisted tales that stretch the imagination of the reader. Thirdly, a great deal of care and attention goes into the soundtracks for anime series; the work of gifted composers such as Yoko Kanno, Kenji Kawai, and Yuki Kajiura add so much to the whole experience with their imaginative and memorable scores. Lastly, I’d really love to write in this form if a mangaka expressed interested in working with me (hint, hint…). And I’d be insanely happy if a Japanese publisher ever offered to publish any of my novels and – a frequent bonus in Japanese light novels – add illustrations. If you could have dinner with any writer in your field (past or present) who would it be and why? Alexandre Dumas the elder would make a wonderful dinner companion; given his colourful life and appreciation of all things gastronomique – he might even prepare some of the dishes himself! Is there one subject you would never write about as an author? It’s not so much a single subject as when unexpected events in ‘real life’ suddenly – and horribly – come close to a significant episode in the story that I’m working on (tidal wave/tsunami being a recent case in point) I find it almost impossible to continue. Here Sarah Ash talks to Jan Edwards about her writing and her short story for the Alchemy Press book of Urban Mythic 2 (I now have my own copy!). Alchemy Press just won the British Fantasy Award for Best Small Press 2014. Sarah Ash is the author of The Tears of Artamon Trilogy and its sequels. The first book in her new two-part series, a Japanese fantasy called The Flood Dragon’s Sacrifice, is now available from Amazon. 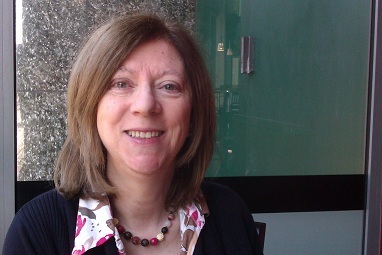 Jan Edwards is a writer, editor and Reiki Master.